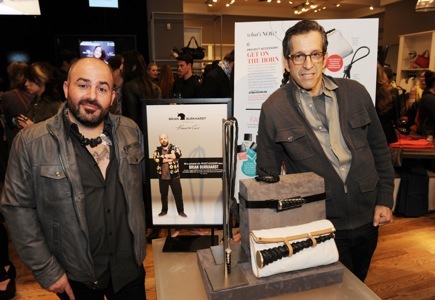 Project Accessory fans in New York City were in for a treat when first season winner Brian Burkhardt debuted his three-piece collection exclusively for Kenneth Cole at the flagship store on 42nd Street. Brian and Project Accessory series host Eva Jeanbart-Lorenzotti spent the evening mingling and taking photos with customers and fans as all enjoyed champagne and sweet snacks. Guests participated in a styling competition and had a chance to win a full Spring 2012 look of their choice, as well as a chance to win five $100 Kenneth Cole gift cards throughout the evening. But it wasn’t just about a night of fun. All of profits from the collection are being donated to AWEARNESS, The Kenneth Cole Foundation, in support of amfAR. 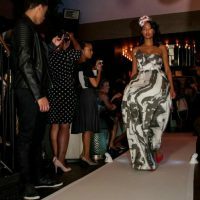 Dom Streater: Project Runway Winner Time Travels! STYLE DIVAS! Fashion Week Preview – Project Runway Alum Sammy Black-VIDEO! 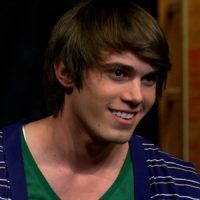 TV DIVAGAL: My “Date” With Glee Project Winner Blake Jenner! TV DivaGal: Project Runway Winner Anya Ayoung Chee Wants to Dress Rihanna!